That Christmas dragon was useless because a) it was made out of cheap stuff, you could tell, and it only had two legs and b) dragons had very little to do with the Christmas spirit anyway. From the weird hurdy-gurdy of the music you could tell those two guys were Eastern European or whatever, plus the way they were dancing (which Jeff said was a bit gay, too, laughing at them) so maybe they didn’t know our customs, Mandy wondered? Anyhow, they’d got them all wrong. Plus, she was being forced to watch them, stood out in the freezing drizzle while her mother dithered about inside the store, supposedly buying some kind of fancy biscuits that her friend in the Sheltered Housing Veronica liked. In a minute Mandy would tell Jeff to go in and fetch her (what were they even thinking of, letting Mum go drifting by herself?) but Jeff was in thrall to the Christmas dragon now, clapping his hands with the rest of the crowd gathering by the festive windows. The dragon was drawing a crowd, rubbish as he was. Mandy sighed. She’d definitely missed her works lunch by now. Here she was all togged up in the middle of the day. Her dress with the black and silver glitter (she had bauble-type earrings in her bag – she wouldn’t be putting them on today.) The whole day had gone very awry and she was trying not to be furious. ‘They’re good, actually, aren’t they?’ Jeff was laughing and turning to her. First smile on him she’d seen all week. Now the dragon – really just some bloke in a red velveteen cape with ropes of tinsel flaring out from his neck – was twirling around and hopping about on one leg. Mandy urged him to slip and fall and break something. Let’s see them all clapping along then, she thought. Clack, clack, clack went his snakelike jaws. What were they made out of? It sounded like wood, as they clacked along with that disturbing music. And, under his tinsel antlers and his strange hat you couldn’t even see his eyes. She shuddered. She hated the thing. And she hated his little gay mate, dancing alongside him with the fez full of money they’d collected and the ghetto blaster. Did people still have ghetto blasters these days, or was it just beggars in the street? Come on Mum, she seethed, find those flipping biscuits. And now, with her broken arm, she was mucking up Mandy’s Christmas lunch with the girls from work. All the arrangements had gone to pot. Had the appointment taken only the half hour Mum’s letter suggested, everything would have been fine. But it wasn’t turning out like that and, as time swirled on, Mandy realized that the likelihood of her making it to Sauce in time had reduced to almost nothing. At least she was already in her party dress and her hair and make-up were done. She kept looking at her watch, which had been last year’s present from Jeff. Not bad, actually. He must have had some advice. From a woman, probably. He wouldn’t have picked this out by himself. It was too stylish and slinky to have caught his eye. She watched him going through the Daily Mirror as they waited for her mum. What woman would have advised him about a watch? What women did he know? There was Cheryl on the phone at the garage, but that was about it. Mum didn’t count, she had no taste for things. ‘Huh?’ he emerged blinking from Dear Deirdre. Mandy wished he’d taken his anorak off before sitting down. He looked so hunched up. ‘We can check with the nurse at that window,’ muttered Jeff. The old woman returned, smiling, fresh from her X-Ray. Her new white cardigan was really getting on Mandy’s nerves. The way one sleeve was rolled to the elbow to accommodate the new pot on her wrist seemed to be deliberately drawing attention to the injury she had suffered in Mandy’s house. Next thing there’d be social services banging on their door, claiming she was being maltreated. Her smile was so brave and gentle Mandy felt herself growing incensed. She glanced at her watch with the elegant chain. Mum nodded, wincing at the weight of the plaster. ‘I don’t understand why he needs to see you again,’ Mandy said, as they shuffled out. ‘He just does,’ said Mum. ‘Works lunch’ sounded so common. They’d booked a table at Sauce, for heaven’s sake. Now it was way too late. She had passed the point of being hungry and her mood was ruined by all her mum’s carry on. Also, she had freezing drizzle in her hair and she could feel rain dripping down the back of her Christmas frock. And Jeff was clapping even more heartily at the antics of that ludicrous dragon. They all were. Egging him on. Cheering and hooting. Even more ridiculous, one of the store managers had emerged with a tablet he was holding up, video recording the proceedings. He was standing quite close to Mandy, fiddling with the buttons of his machine, shaking with laughter at the clacking dragon. It wasn’t that funny, was it? The tinsel and baubles on the dragon’s outfit were cheap ones like she remembered from being a kid. Nasty, sharp, old-fashioned things. Now she could see his eyes, after all. Revolving, spiral eyes, just like a snake’s. It still wasn’t hilarious, she thought. Even when she saw that the window display behind Klacky and his friend was filling up with shop workers. At first she thought they were fiddling with the window display – the fake emerald trees and the angular shop dummies – but they weren’t. The staff members were wearing party hats and they were walking along jerkily. Mandy realized they were dancing. They were doing the same dancing as Klacky and his friend. ‘Hahahahaha!’ went the manager from the shop, trying to hold his tablet computer straight. Mandy still didn’t see what was so hilarious. More staff members were climbing into the window display and copying the dragon’s dance moves. A great roar of approval went up from the crowd of shoppers, who stood watching, grinning in the rain. Just at that moment she saw the dragon’s snakelike head and his whole body freeze on the spot and do a sudden double-take. 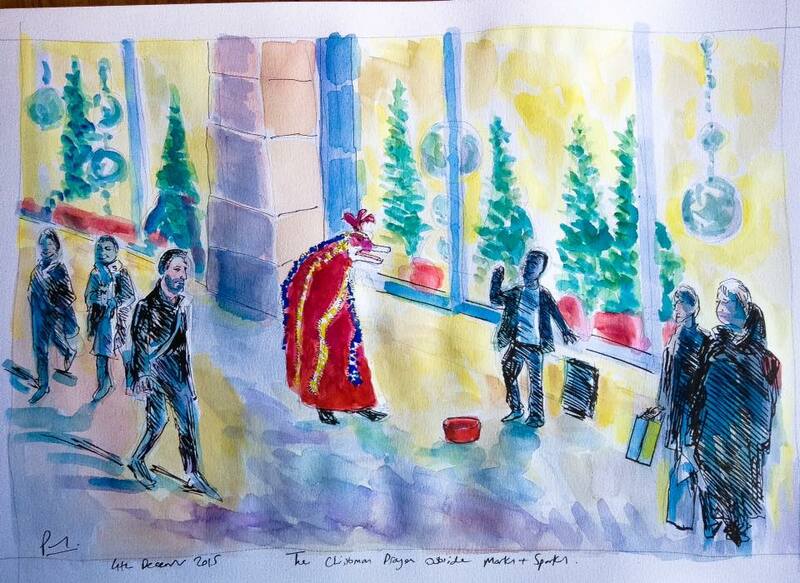 The man inside the outfit stopped prancing and flouncing for a moment or two, and so did his chum. They were riveted by the sight of the shop display. At least twenty staff members were crammed inside there, doing the Klacky dance and beaming, being filmed by their manager. There were even some customers in there too, joining in. Klacky gave a little hop, and then a hoot of pleasure (Yes, definitely foreign, Mandy thought.) Then he started dancing even faster, more ferociously, whirling around, flaring his cape with extra vigour. His friend did likewise. It was clear they were over the moon at the tribute from the department store staff. Mandy thought they all looked insane, those shop people: wearing party hats and strings of tinsel round their necks; dancing like Klacky the dragon. 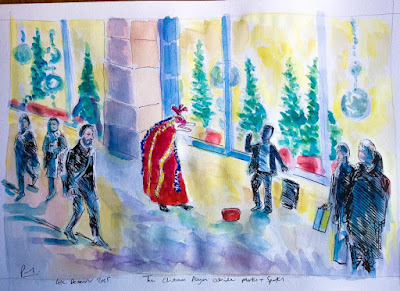 Worst of all were the customers in their heavy coats, still clutching their bags of shopping, thinking they were having a good time and being amusing. It was at this precise moment that Mandy saw her mother. There was no mistaking her. She was right in the middle of the window in her white cardigan, one sleeve bunched over the end of her plaster cast. She was kicking up her legs along with everybody else and waving her good arm in the air. Mandy’s mouth hung open like the mechanism inside her had snapped. Soon enough the moment was over and the staff left the window and went back to work. Their boss filmed the chuckling crowd filling Klacky’s fez with coins, and then he too returned to the store. Behind them the jaunty music came back on, even louder, and Klacky started dancing all over again. Maybe it’s early in December to do this, but if I post my top ten now, it might encourage you to go out and buy these for presents for people..? 2015 was the year the whole world seemed to cotton onto Anne Tyler at last. 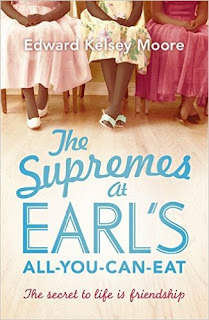 A great big warm, flashbacky saga, full of formidable ladies, ghosts and gossip. 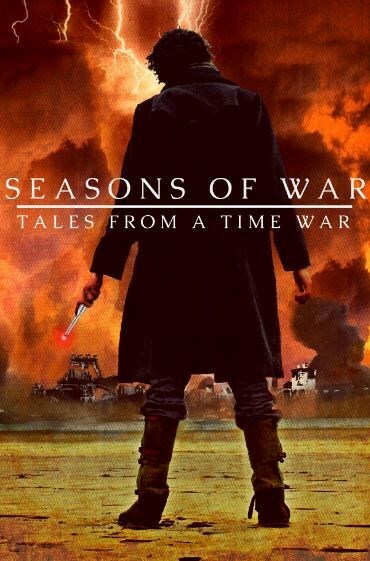 Fabulous follow-up to E Nesbit’s timeless trilogy, taking us fearlessly into WW1. The late 1950s till the late 1970s in the form of thoughtful, tender, funny letters sent between a star of stage and screen and her bookworm fan. An enthralling YA gay romance that I knew I was going to love from the first page. Turning the epic fantasy genre inside out in a scabrous, satirical instant classic. Memoirs of a giantess who was a dab hand with sauces: one of the most life-affirming and deliciously slow books I read this year. Whizzy and free-wheeling space fantasy graphic novel about a child trying to reunite her family and creating a new one along the way. A set of succinct and loving thumbnail sketches, dropping us into a series of connected festive days. A proper old-fashioned kids’ book about the awkwardness of being young and small and also, the awkwardness of love. 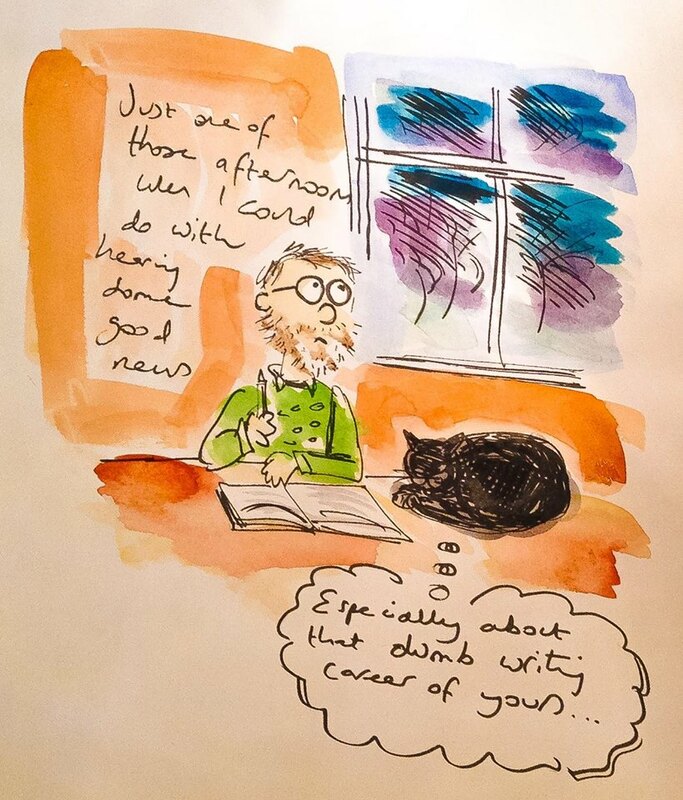 ‘The Awkwardness of Love’ sort-of describes my favourite subject matter, whatever the genre or age-range of a book, and it might also make a good title for a book of mine one day..? These are my choices for 2015. It was a quieter year for reading, perhaps, than other years. 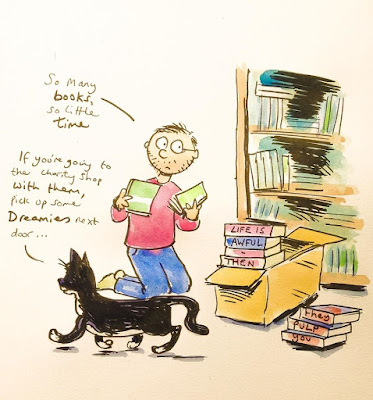 I spent longer with books I loved, I think, and spent less time hunting out the new and spectacular, or wasting time on the things I realized I wasn’t enjoying. How’s your reading year been..? Let me know! August was chockablock, with all the fun of the Edinburgh festival and doing four events and seeing lots of old and new pals, and reading at Lumb Bank for Arvon, the new Iris Wildthyme boxset coming out, and a dozen of my paintings going on display at the Molly House, just in time for Pride. But the biggest thing in August was mine and Jeremy’s first holiday in five years, and we went to Paris and a boutique hotel in Notre Dame for a whole week. It blazed with sun, we ate out every night and I did twenty-seven pictures, all over the city! It was time for heads down and writing solidly, for all of September and October. 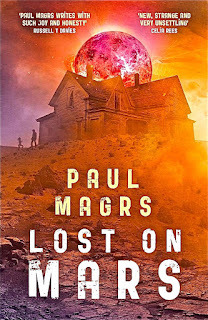 I was burying myself in the first draft of my sequel to ‘Lost on Mars’ – ‘The Martian Girl.’ And all the while the builders were here, getting to work on our house at last, and we had the awful drama of sudden surgery for Bernard Socks. It was all stitches and recovery and tablets and lab tests for a while for poor Socky. But September also saw one of the best days ever – when the news came back that everything was all clear! 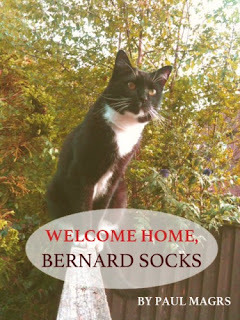 Bernard Socks was in perfect health! 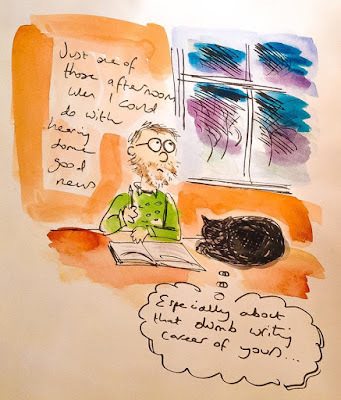 More writing, of course, going on quietly every day, building up the pages of my new novel. And, alongside, there were the daily drawings and pictures. 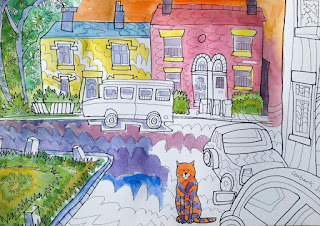 By now I was getting lots of private commissions – many of them of dogs and cats sitting outside their people’s houses. 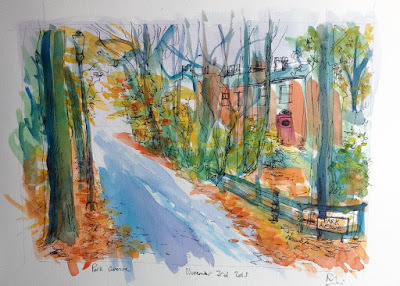 October was bright with sun and wonderful autumn colours and my paintings were turning more extravagant than ever. Oh, also, I rediscovered my love of cartoons, and cast both Socks and I in our own picture strip. 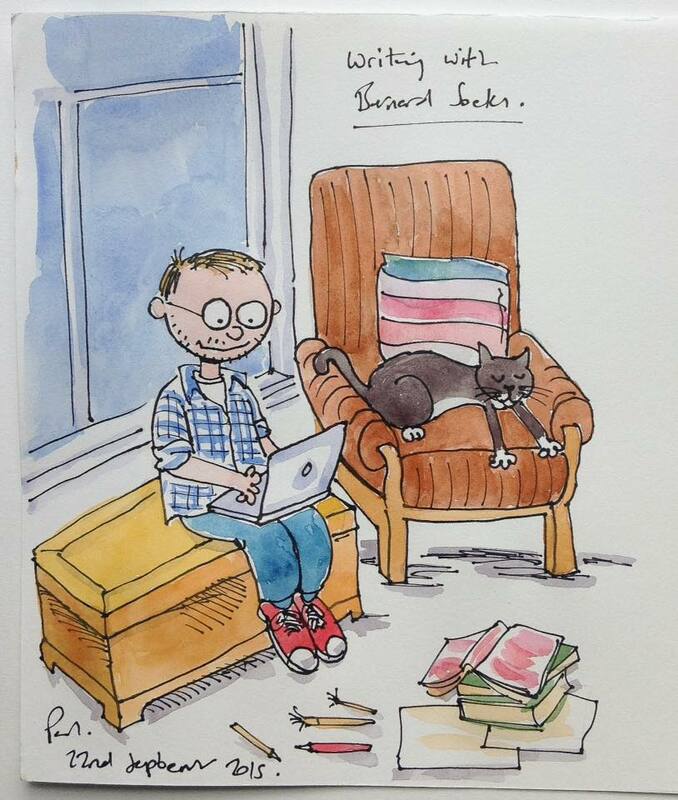 November saw me finishing a full draft of my RomCom novel for grown-ups, ‘Hunky Dory’, a full year after beginning it. 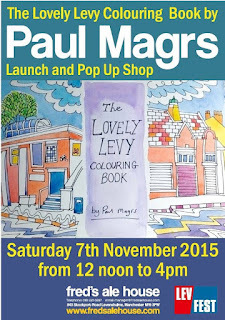 At the same time I collected from the printers a project I had been quietly getting on with: ‘The Lovely Levy Colouring Book’. 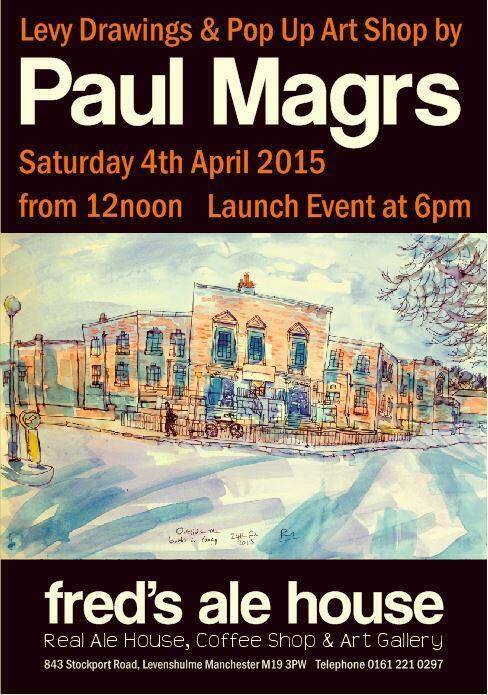 We had a pop-up shop and Fred’s Ale House and flurry of excitement as it went on sale at Pod. 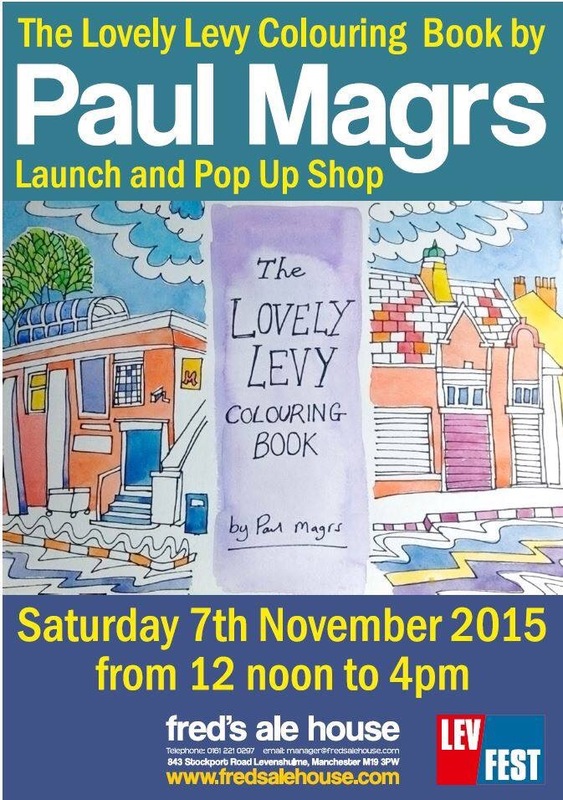 So many people wanting to colour in my pictures of Levenshulme! 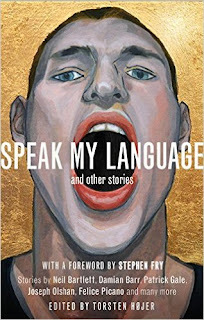 And we’re up to date, with me taking stock of the year, and wondering what I’ll be writing and drawing next. 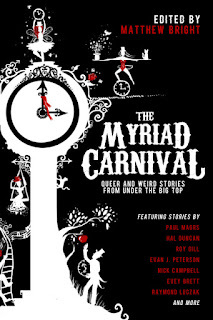 I just received a beautiful proof copy of ‘The Myriad Carnival’ edited by Matthew Bright, reminding me that I’ve had three new stories out this year, in three different collections – Matthew’s, also Torsten Hojer’s ‘Speak my Language’ and Declan May’s ‘Seasons of War.’ Also this month, Obverse Books are publishing ‘Welcome Home, Bernard Socks’, the sequel to ‘The Story of Fester Cat.’ I’m proud to toast the oncoming year – which has been tough and busy and at times troublesome – with this particular volume. That’s where I’m up to! I hope next year you’ll be able to read and listen to and see some of the stuff I’ve been working on. There’ll be some Doctor Who, some Avengers, some Brenda and some Lora and her friends on Mars. And there’ll be more pictures and more new stuff I haven’t even told anyone about yet. I hope you’ll stick around and see what I get up to next year, and thanks for all your support during this one! I began my Year of Drawing. To start with it was a New Year’s Resolution. I wanted to bring some colour back into my life. I wanted to do something without words. I started by drawing the wrecked house around me. Then, as gloomy January went on, I started venturing outside and drawing everything I could see locally. 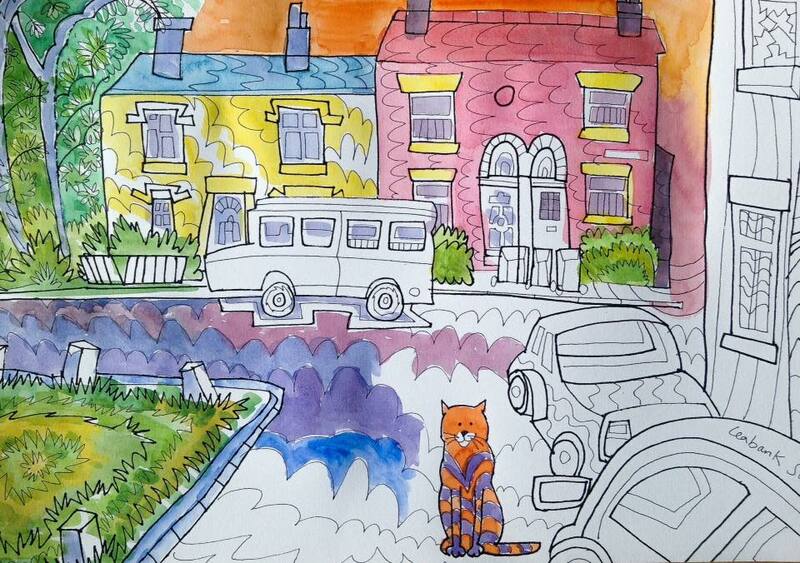 I started drawing Levenshulme, our little corner of south Manchester. I had my hair cut at Tony’s barber’s and stayed a while afterwards, drawing the next customer getting his hair clipped and all the barbering paraphernalia. When that picture got a big response on the local Facebook group, Levy Massive, I started getting asked to visit all kinds of nearby places and to draw them. So I sat by the side of Levenshulme swimming baths, and in the Shine hair salon and in the church painting light coming through stained glass, and the window of Bridgette’s the Florist’s, and the re-opening night for Pod Café Bar. But I was sill writing, of course. I had two big commissions for Big Finish. I wrote a two hour long script for Peter Davison’s Doctor Who, ‘The Peterloo Massacre’, which is released on CD and download next March. I also wrote an episode of ‘The Avengers’ called ‘The Golden Dresses’ for the audio series about Steed and Mrs Peel. Both scripts took about three or fourth months to complete altogether, but March was really the most intense time for scripting and redrafting. After posting my drawings online people surprised me by asking for prints and cards. 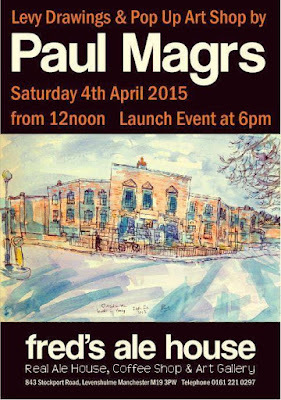 And Fred’s Ale House in Levenshulme surprised me most of all, by asking if I’d like to put on a small exhibition of my pictures. They made me a wonderful poster and got Wendy and her new catering company ‘Life of Pie’ to put on a splendid buffet, and they invited everyone to come and see. There were speeches and pints and laughter and the whole thing was just great. In June I was part of an award-winning team! 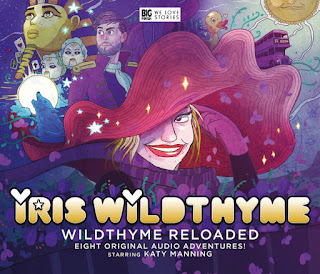 Simon Barnard’s company Bafflegab Productions won a New York Radio Award! 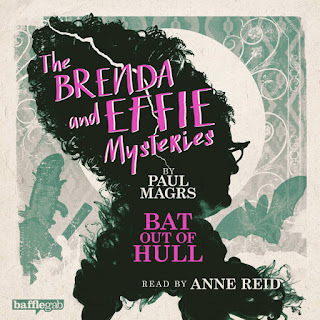 ‘Bat out of Hull’, the second episode of our ‘Brenda and Effie Mysteries’ series won GOLD for being the BEST AUDIOBOOK IN THE WORLD! We were chuffed as muck and completely amazed. Although, of course, it is a fabulous series. We shouldn’t have been surprised at all. The four episodes were released on audio download in the early part of 2015 and starred Anne Reid as both Brenda and Effie. 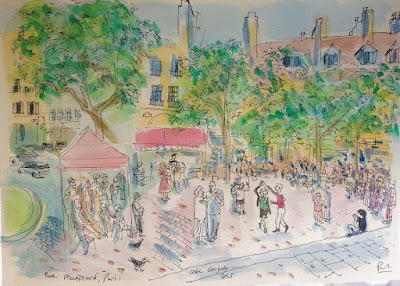 It’s little bits of heaven like that – like Brenda coming back to life in New York and winning a prize, or pictures going up on the wall and people being nice about them, and buying the original paintings I’d started exhibiting, by June, at Pod Café bar, that makes all the trickier stuff in life (and there was plenty!) dealable with. There’ve been a few books that have stood out recently. My friend Matt made sure that I read ‘Blankets’, an earlier graphic novel by Craig Thompson, after I’d enjoyed ‘Space Dumplins’ so much last month. ‘Blankets’ is a very sweet, incredibly slow moving tale of first love and strange, ultra-religious families. His drawing is just beautiful and dreamlike, I think. The whole book feels a bit like being caught up in the fever dreams of late adolescence. It’s a huge book, but one that I read through a long November afternoon and enjoyed a lot. 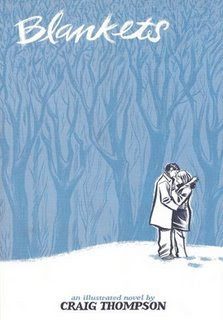 It’s a novel about being in love with drawing as much as any one person. I enjoyed a few kids’ books recently, too. David Almond is always good value, and I’ve been falling behind with his novels. ‘Jackdaw Summer’ is as strange and moving as any of his previous books. 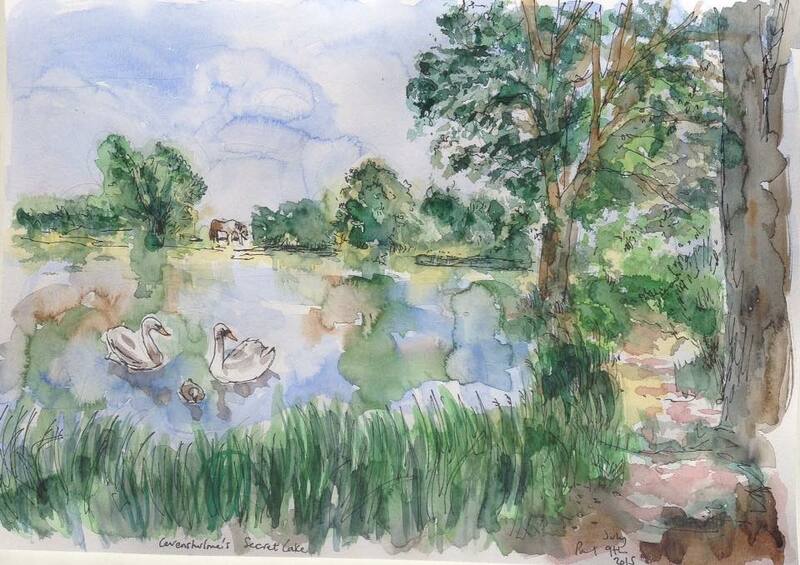 This time it struck me how good he is at rendering sounds: particularly of the countryside. At the same time I was reading ‘In Darkling Wood’ and discovering Emma Carroll for the first time. This one’s a tale of dark woods and fairies that only certain people are able to see; and brothers in hospital and grouchy grandmas with long-held secrets. 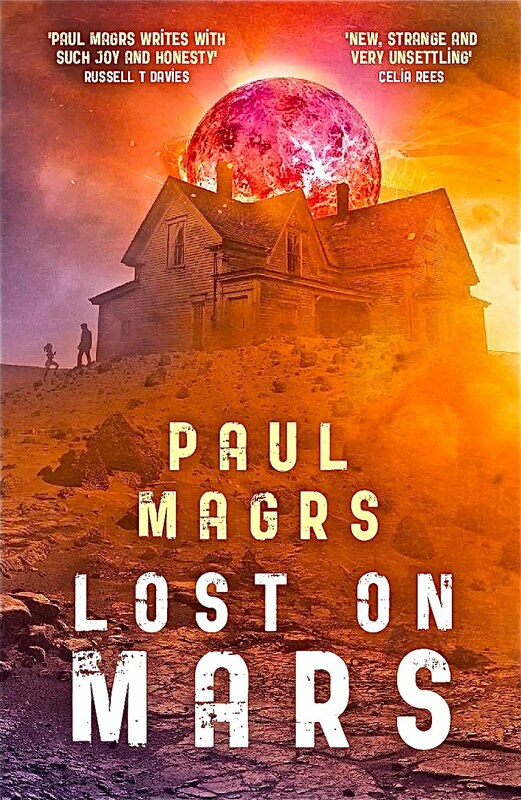 It was a short, intense read, steeped in gorgeous atmosphere. Then I relished the giddy ‘Not Quite Nice’ by Celia Imrie: a silly comic novel about ex-pats in Nice. It reminded me quite a lot of the wonderful Lou Wakefield novels of a few years ago. It’s a fun read, but there were too many characters, I think, and I kept losing track of them. 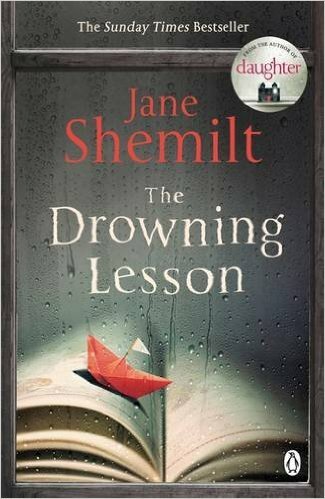 Much darker and starker: Jane Shemilt’s ‘The Drowning Lesson.’ It’s a year since I was enthralled by her first, ‘Daughter’, and this novel employs the same shuttlecocking back-and-forth in time for its first half, which is at first disorienting and then satisfying in the reveal of the tragedy promised by the back cover blurb. Her books belong to that genre of the modern Domestic Gothic – in which very well off and successful professional people have their lives trashed for our entertainment. Shemilt has specialized in the missing-children corner of the genre and this one, with its African setting and rather morbid surgeon heroine, is gripping right up until the final page. Definitely recommended. 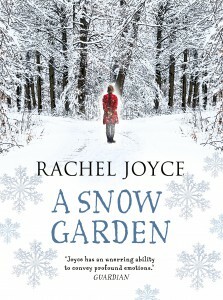 As is Rachel Joyce, whose first two novels I enjoyed a lot. Her Christmassy collection, ‘A Snow Garden’ is terrific, I think. These are mostly succinct and rewarding stories – her background in radio drama is apparent at every turn in the deft and concise way she brings characters and situations to life just enough to make the story sing, and no more. My favourites here involved a divorced father trying to entertain his dreadful sons, and a very smart airport story that makes you groan at first, when you realise where it’s going, but that wins you over with sheer charm by the end. Added to all of this, I’ve just discovered Philippa Pearce’s ‘A Dog So Small’ and it made me weep with its beautiful final chapter. I think she writes wonderfully and so touchingly. However, I’m also at that point in the year – a year that’s been fraught with all kinds of stuff – and just about anything could set me off just now. Right – maybe it’s time for some Christmas reading. What do you think..?